Chocolate Toffee – Using Johnson's special creamy toffee, hand coated in a luxurious Belgian milk chocolate means you also get the taste of the velvety chocolate. Johnson's toffee is renowned in the confectionery industry and as one of our original products we using the same traditional flavours meaning the recipe hasn't changed in 80 years and doesn't need to. Once placed in your mouth our hard toffee begins to soften releasing the creamy flavours of butter and milk, eventually turning chewy. 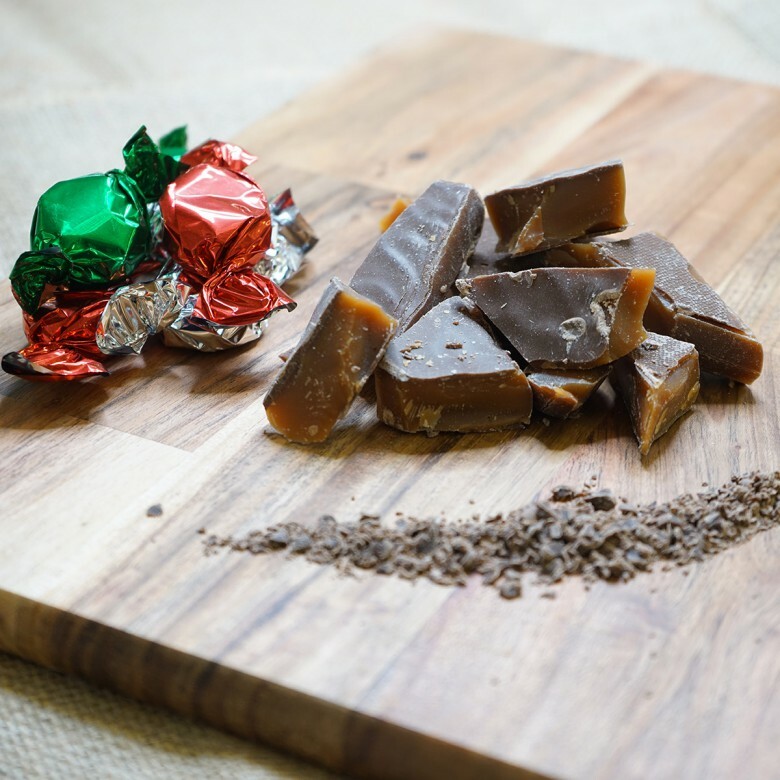 The more you chew the smaller the toffee gets before disappearing and leaving you craving another piece. Chocolate Toffee is available in two sizes; a 150 gram bag or a 450 gram box.